The birthplace of Nicolò Paganini had a tortured existence for much of the 18th century. Since Christopher Columbus, its fortunes had been closely tied to the Spanish conquest of the New World, and as Spanish power declined, Genoa followed. By the 18th century it was economically and militarily overstretched through the wars of Austrian Succession, and while it remained an important Italian port, trade through Genoa was increasingly controlled by its neighbouring states. In 1768 it lost Corsica, the last of its overseas territories, to France and before its fortunes revived, Genoa would become part of Napoleon’s Ligurian Republic, becoming annexed to France in 1805. Genoa was nonetheless one of the most heavily populated cities of Northern Italy, and with so large a population came a demand for violins. Throughout the 18th century a vibrant Genoese violin making community thrived, although in the nature of a port-city, makers appear to have been attracted from different places and there is a great deal of variety among the Genoese. Better-known makers include Bernardo Calcanius, and Paolo Castello. Others include Castello’s father and son, Luigi and Antonio, Jacobo Cordanus, August de Planis, Davide and Antonio Pizzarino, Antonio Pazarini and Angelo Molia, all active in the 18th century as well as Andrea Stanzer and Giuseppe Cavaleri. A Northern Italian attribution to this period is substantiated by a dendrochronological analysis giving a youngest tree-ring date of 1713 and strong cross matches with other known Italian instruments of the period and region. However, the trail disappears thereafter, and there is not even any specific evidence to link the workmanship directly to the influence of Girolamo Amati, although Stanzer’s interpretation of the Stainer model may contribute to masking the maker’s training. In Stanzer’s favour, Girolamo was a fairly obscure member of the Amati family and left Cremona from 1697 to 1715 to work in Piacenza, the closest major city to the north of Genoa, giving Stanzer’s statement greater plausibility than if he had claimed to have trained in Cremona itself. Stanzer is listed under several different spellings in the standard dictionaries of violin makers. He is almost certainly the Andreas Statler of Genoa (fl. c. 1700), a pupil of Girolamo Amati mentioned by Vannes, and to whom Henley gives a more plausible date range of 1705-1725. Henley likens one Giuseppe Stanza to Amati followed by characteristically dubious information. The recently published dictionary by John Dilworth follows the spelling Andreas Statler for this Genoese maker. By the 1720s Stainer’s influence was widespread in Northern Italy. The upright soundholes provide evidence of an attempt to engage in this new fashion, but Stanzer’s unfamiliarity with the model shows. As is typical of Italian violins of this sort, Stanzer sought to raise the arch of the belly without compromising its purity in any way. The result is to create large areas of steep arching, giving the violin a very bold feel, exacerbated by the thick purfling which gives the violin an impression of being narrower than it actually is. 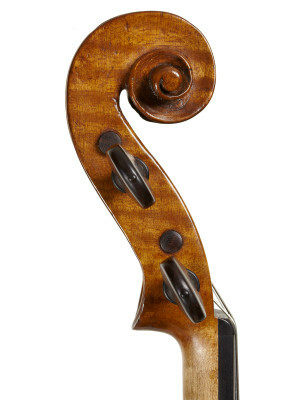 The strength of the arching on the back of the instrument combined with the choice of wood immediately recalls Cremonese attempts at this new fashion, prompting cautious comparison with Giuseppe Guarneri ‘filius Andrea’. The scroll is elegant but the volutes are a little free in their positioning, and any sense of Cremonese influence is expended in favour of deep undercutting. This particular style appears to have influenced Antonio Pazarini and Angelo Molia, who both worked in Genoa during the decades that followed. 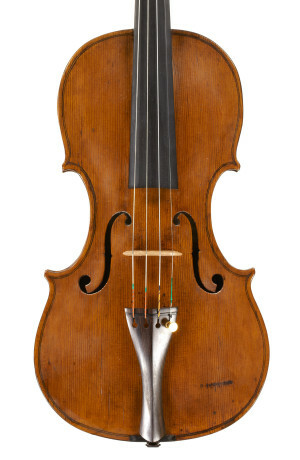 The violin by Giuseppe Cavaleri, another scarce maker, made in Genoa in 1736 represents the other extreme of Stainer-influenced work in 18th-century Italy. Here once more the aim of the maker was to create a high and fully formed arch, but the obvious difference is in the soundholes, which meander over the arching. They are an attempt to preserve a conventional Cremonese shape in spite of the fatness of the belly. Violins of this kind are most commonplace in Rome and Florence, but the concept travelled to Peter Guarneri in Venice, and south to Alessandro Gagliano in Naples. 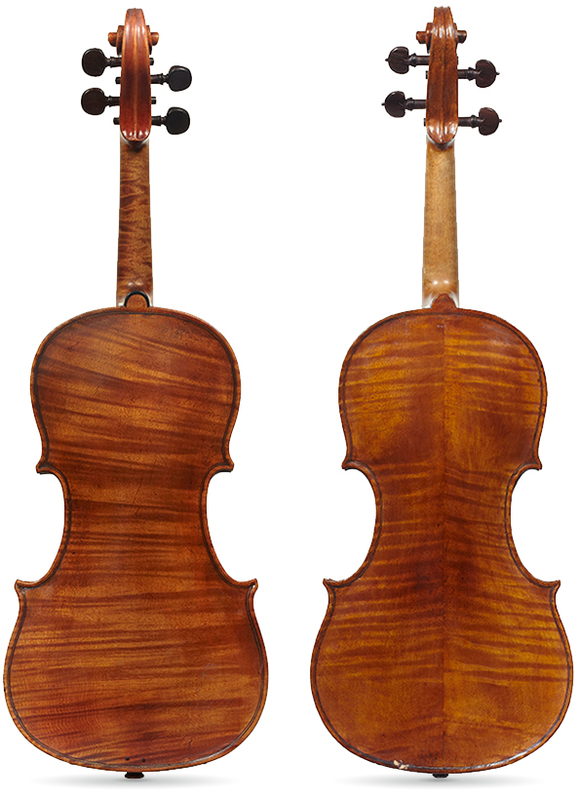 Cavaleri built this violin without using a mould, leading to characterful asymmetries, and the instrument shows the hallmarks of a maker working with great experience and confidence at speed.